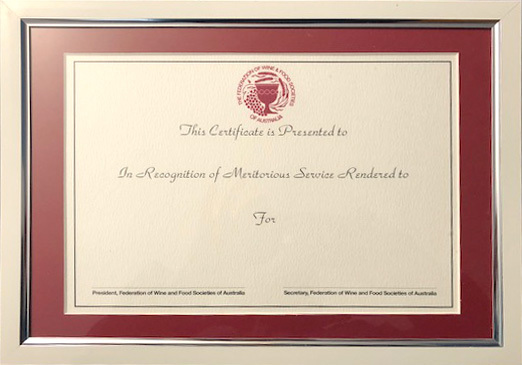 Federation Certificate | Federation of Wine and Food Societies of Australia Inc. This award is given to individuals who have provided outstanding service during at least one major function. These functions can be either at home or a restaurant/function centre. The award can be given to individuals, restaurants, or other commercial premises.